In their ongoing mission to dominate the air sucking/blowing market, Dyson has just released a stylish new hair dryer. But its sleek looks aren't the only thing that sets it apart from conventional models. As Gizmodo reports, the Dyson Supersonic claims to be lighter, quieter, and better for your hair than other hair dryers on the market. By replacing bulky hair dryer motors with their compact V9 motor, Dyson was able to design a hair dryer that works like none of its competitors. It blasts air from the motor in addition to drawing air through the opening in its head. The designs of traditional dryers disrupt airflow, which can result in hair becoming overheated and damaged. Sensors in the Supersonic monitor heat levels every 20 seconds and automatically shut it off when temperatures get too high. Not only is the device gentler on hair in terms of heat damage, but it's filter is located on the bottom of the handle where hair is less likely to get caught. It's quieter, too. Designers found a way to tweak some of high pitched sounds it produces so that they're too high for human ears to hear. 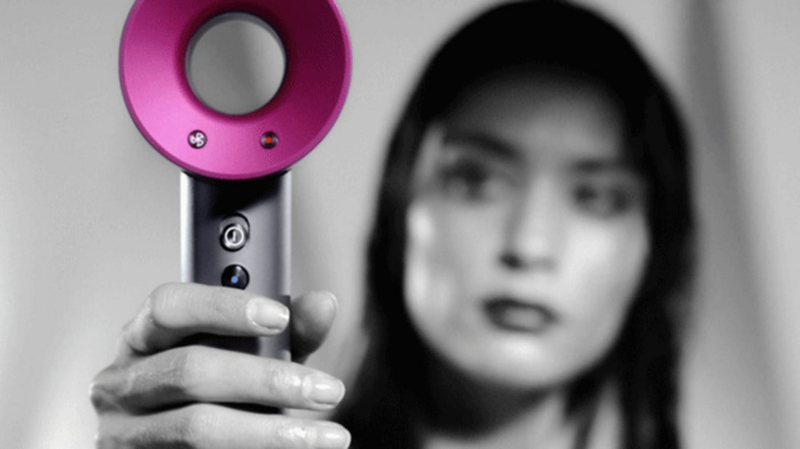 Dyson's exceptional hairdryer will come at an exceptionally high price of $400. But considering how much money the average woman spends on hair care in a lifetime, there's definitely a market for the new product. U.S. consumers can expect to see the Supersonic become available this September.